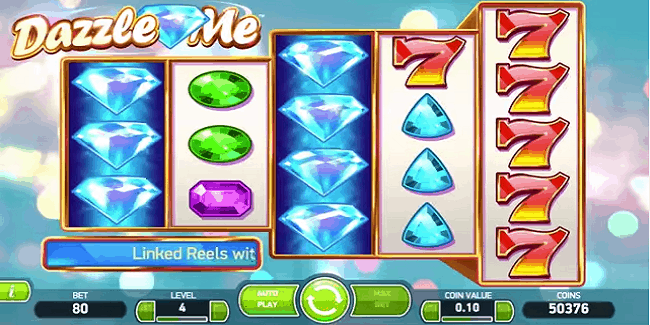 Dazzle Me is a NetEnt’s 5 reels and 76 Paylines video slot game. This slot game is inspired by sparkling diamonds. Dazzle Me provides a jackpot of 200 times of your total bet and return of the player percentage of the game is 96.9 percent. Minimum coins per line are 1 and max coins per line are 10. Meanshile min coins size is 0.01 and max coins size is 1. You can try your luck playing Dazzle Me Slot at Net Entertainment online casino sites. There are five terms involved in this game and they are “Coin value’ which is used by a player to adjust the coin value before playing or hitting the spin button, “Bet Max’ option used by a player if he wants to place the bet at its highest wager. “Level” is used to set the number of coins per line, “Spin” is used to start the game and “Auto Play’ is used to turn the reels without interruption for a certain number of times. 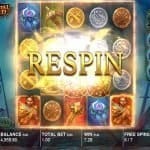 You as a player will come across some bonus features like Dazzling Wild Reels, Linked Reels, and Free Spins feature. Dazzling Wild reels are the bonus feature which can be triggered during the base game. If you hit three or more scatters at once, you will trigger free spin feature. The scatter in this game is the world ‘Free Spins’. 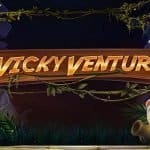 You will collect 8 free spins for three scatters, 12 free spins for 4 scatters and 16 free spins will be awarded to you for 5 scatters. 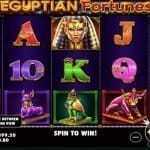 This slot game is very cool and can played at different version of operating systems or at smart phones.